Editors Note: This review was updated April 16, 2019 to include the latest version 7 release. Many new features have been added so be sure to read the entire review before making your decision. THE GOOD – Undetectable. Captures keystrokes and deleted content. No physical possession or access needed. Works on all Androids and iPhones. THE BAD – Does not capture Viber or Skype messages on iPhones. THE BOTTOM LINE – During our extensive testing we found that all features worked as advertised. The GPS system accurately located the device. Deleted content was captured. Text messages were gathered and the call recordings were very clear. You’ll get the data you need and best of all, you won’t waste time or money! 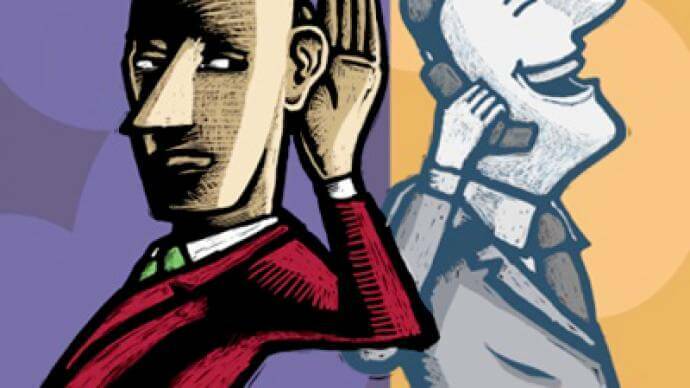 PhoneSpector phone spy app is one of the best cell phone spy apps we have tested. It works on all Androids and iPhones and captures nearly 100% of all data and information residing on the device. It also logs deleted content and keystrokes making it very easy to expose suspicious behavior and effectively monitor any cell phone in use today. In addition to capturing all incoming text messages, calls, GPS data and more, we were able to recover deleted text messages, photos, videos and Facebook messages from the devices we used in our tests. It also accessed Snapchat and Facebook messages without having to root the Android device. We found that it very easy to install and use and while there was a slight slowdown of the mobile device while it was running, it wasn’t enough for us to notice. In fact, the only reason we knew the application was on the phone is because we were performing our timed tests and diagnostics. Overall, the app functioned flawlessly. PhoneSpector allows the user to view virtually everything on the target cell phone or tablet without physically having the device. Once downloaded, the software establishes a remote connection with the monitored device and uploads the data to a secure online account. You are then able to view everything in your user dashboard in the same way you would use online banking or any online account. The developers at PhoneSpector sent us their new app for testing after the announcement, but before the release of version 7 (version 7 release date is April 12, 2019). Not too many new features were added, but the ones that were are significant. Keylogger: The keylogger records every keystroke and entry on the monitored phone. Typed messages on Facebook, Twitter, InstaGram, SnapChat and Skype are all recorded and uploaded to your secure online account where you can view them the same way you view your bank statement or credit card statement. Social Media: In previous versions, PhoneSpector was able to capture only snippets of incoming social media messages. In the new version 7, it now collects entire incoming and outgoing messages from Facebook. InstaGram and Snapchat. Enhanced GPS: The upgraded GPS function allows you to locate a device more accurately than previous versions and provides location to within just a few feet in most cases. Easy Installation: App download and installation has been upgraded to better deal with new Android and iPhone OS releases. A few more permissions were added by the device manufacturers, but PhoneSpector deals with nicely to ensure seamless and continuous monitoring. You don’t have to root the Android device and you won’t get locked out of iCloud. Step 1. Text the download link to the phone you want to monitor. Step 2. The activated link installs automatically. Step 3. Sign in to your online account from your cell phone, tablet, or laptop to view data anywhere, anytime! The entire process took us around 45-50 seconds to complete. Data begins uploading immediately to an online account. To access your online account you enter the username and password that is emailed to you right after your purchase is made. Being the best spy app on the market, PhoneSpector boasts 2019’s most cutting edge technology. Enhanced GPS tracking for the latest iPhone and Android phones, and operating systems. Brand new Keylogger captures all keystrokes performed on the device. See messages, usernames and passwords, etc. Show the app icon on the phone screen. Essentially, anything that might give the target phone owner an idea that the phone is being tracked. With these advantages of PhoneSpector, it’s definitely the front runner in being the best cell phone spy app of 2019. 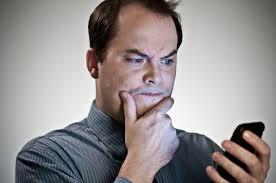 Text messages & SMS messages: Text messages that are sent or received from the device can be recovered. The information will include the date and time of the text, the phone number and the contents of the message itself. Even messages the user deletes will be accessible to the dashboard once the software is on the target phone. iMessages: On iPhones and iPads, the program will backup iMessages that are sent or received. Like the text message function, it will extract old and deleted text messages from the Apple device including the exact message, date, time, etc. Calls: The dashboard records incoming and outgoing calls, and logs history. As well as the date, time, and duration of the call. GPS location: The GPS tracking system of PhoneSpector tracks the phone within 50 feet of its actual location. The location of the phone will be viewed on Google Maps with a pinpoint. The coordinates are updated every 10 minutes. Photos: All photos, new, deleted, and old, will be displayed for you in your online control panel. As with all other information gathered by PhoneSpector, you will be able to see all of your photos on your computer and other devices. Videos: Videos recorded on the target phone are available to view in your online dashboard. Calendar Events – Previous, old, and new events saved on the phone’s calendar will be recovered and downloaded to the online control panel. Social Media Access – Click on Facebook Messenger conversations to see all of the messages between participants. You can also view direct messages on Twitter, Instagram, WeChat, WhatsApp, and Kik. PhoneSpector Dashboard: The dashboard is an easy-to-use online overview of all data collected from the phone. The menu on the left provides quick and easy navigation. This best cell phone spy app is compatible with the latest iPhones, iPads, Android smartphones, and operating systems. This is an important feature as the cell phone market is constantly changing. Compatible with Samsung, HTC, LG, Huawei, and Motorola smartphones. Having a spy app that is compatible with the latest phone models and systems is crucial. Most new iPhones, Android smartphones, and operating systems have new security features preventing others from accessing another’s phone. However, with PhoneSpector, you’ll be able to remotely access these devices with no security obstacles. When iOS 12 came out in 2018, a new security feature was added, USB restricted mode. When this feature is enabled, any USB device will be locked out of the iPhone if it’s connected for more than an hour. This to prevent hackers, police, and others from spying on the iPhone and stealing personal information. Because of this, it has made it harder for anyone to track an iPhone, unless you use a remote spy app like PhoneSpector. PhoneSpector’s GPS tracker feature will enable you to track a mobile device to within 50 feet of its actual location. 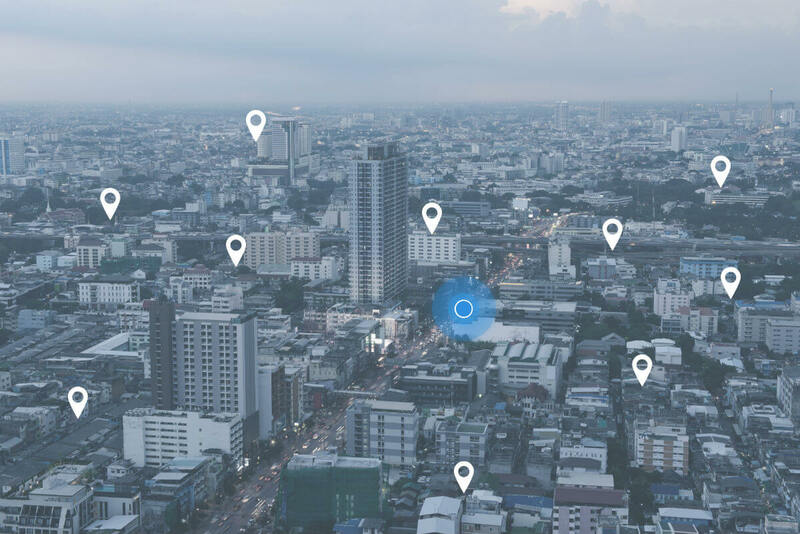 PhoneSpector uploads the GPS coordinates once every 15 minutes, allowing you to keep accurate track of the mobile device no matter where it goes. The text message function of PhoneSpector will give you an exact copy of every text message that was sent or received from the monitored device. As you can see from the screenshot to the left, you will be able to see the telephone number that the text message was sent to or received from. An exact copy of the message is provided, along with the date and time the message was sent to received. While PhoneSpector’s software was easy to install, we still had some questions. 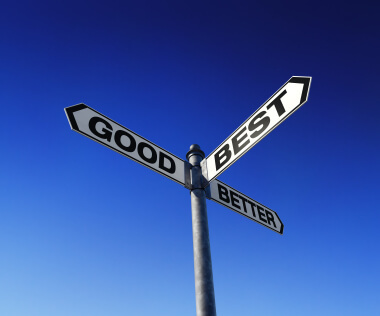 PhoneSpector’s support team passed our customer service test, which we conduct with every review. We spoke to a very nice and helpful woman who walked us through the process and answered all of our questions. If you haven’t already come to the same conclusion, we’ll then spell it out for you. PhoneSpector is 2019’s best cell phone spy app available! 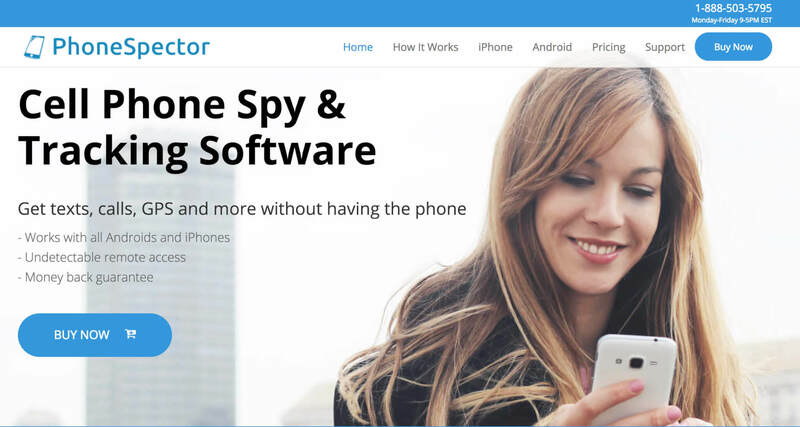 With all of their advanced features mentioned above, great customer support team, software compatibility, and being undetectable, PhoneSpector is a top-notch spy app to get. om” that was how i was saved. He gave me access to my wife’s whatsapp, facebook account, instagram and gmail account without her notice and that was how I got all the evidences needed to confronted her, she couldn’t deny it. I had to break up with her, who else would want to stay with a cheater. I’m happy for this great help, if you need similar help to hesitate to reach out. He’s reliable and genuine. I am monitoring my wife’s calls, text messages, chats as well as her location, thanks to this hacker, [email protected]. They gave me access without having physical access to the target device. Does this program also show you browsing history when they are using incognito mode? Yes, you will be able to view all browsing history once the program is installed. When I text the phone I want to track do they see anything that will let them know ? If I think this is being done to my phone is there a way to stop it from being done? This software can be used to monitor Snapchat activities. You can use PhoneSpector to monitor WhatsApp activities. Hi< does it recover deleted messages and media files on whatsapp? If I have an iPhone, but want to monitor an android phone, how does that work? Hi, we don’t have zip codes in Lebanon. How can I purchase the app? Is ambiance record available? You can purchase the product by visiting https://phonespector.com/. This software cannot record ambiance sounds but can take a picture of the phone’s surroundings. PhoneSpector in short one doesn’t target’s phone in order for the app to be active? Please visit the Phone Spector website, https://phonespector.com/, to learn more specifically about how the PhoneSpector Android and iPhone software works. This software can be used to monitor Whatsapp activities. PhoneSpector can be used to monitor WhatsApp activities. Will the other person find out? I’m quite sure he’s into many more. You can’t underestimate what he can do for you. You might really wanna consider contacting him today. He’s definitely going to be of great help. [email protected] . This software was created to be undetectable. If I text the link to the target phone, don’t you think it’s no longer a secret? Or it won’t display the link. Kindly explain better. Life has taught me that you can’t control someone’s loyalty. No matter how good you are to them it doesn’t mean that they will treat you the same way. I have been married to my husband for two years with no idea he was cheating. Suddenly i started noticing changes in behavior, i suspected something was wrong. So i confided in a friend who convinced and introduced me to a hacker. He was able to hack into my husband mobile phone, Text messages, Call logs, IG, browser history, deleted messages, Emails and WhatsApp . It seemed as though my life was spinning out of control getting to find out he has someone else. I filed for a divorce just could not continue with lies. If you feel you are been exploited in your marriage and you need proof. I suggest you give Hackbyharley @ gmail . com …. Does the owner of the target phone have to actually click the installation link that is sent? Clicking on the link on the target phone for installation only applies when looking to monitor an Android device. For targeting an iPhone, you don’t need the physical device, just the phone owner’s Apple ID and password. What if you don’t have the apple id and password? To use PhoneSpector’s iPhone Software, you must have the phone owner’s Apple ID and password to install and activate it. hello, the owner will not be installing anything , according to Bryan harley he will run everything Background and will go unnoticed to the target using his specially design spywares. he did mine successfully , i recommend [email protected] to you for any Hacking services , he has proved to be the best and his services are Genuine and Reliable. Are you able to view the target phones viewing history and not just browsing history? With PhoneSpector, you’re able to view the target phone’s activities including web browsing history, app and social media activities, and much more. If the target phone has an anti spy app on their phone can this app still be detected? Life has taught me that you can’t control someone’s loyalty. No matter how good you are to them it doesn’t mean that they will treat you the same way. I have been married to my husband for two years with no idea he was cheating. Suddenly i started noticing changes in behavior, i suspected something was wrong. So i confided in a friend who convinced and introduced me to a hacker. He was able to hack into my husband mobile phone, Text messages, Call logs, IG, browser history, deleted messages, Emails and WhatsApp . It seemed as though my life was spinning out of control getting to find out he has someone else. I filed for a divorce just could not continue with lies. If you feel you are been exploited in your marriage and you need proof. I suggest you give Hackbyharley @ gmail . com …………. So the Android version is visible to the android owner once you install it? The software isn’t hidden from view!? So only the iPhone version is hidden? Or you just dont need the Iphone and both are not detectable? Their website says you do not need to have the apple id and password to track an iphone???? If you go to https://phonespector.com/iphone/, it specifically says you need to “enter the Apple ID and password of the device you would like to backup or recover data from”. [email protected] is the best and real deal, don’t fall for fake asses. For me, i feel the best way to rid ones mind of careless unhealthy thought laden with doubts of whether or not our spouses, i decided a few weeks ago to avoid stress by all means possible by letting someone do the job for me, i hired Williamsdhackghost at gmail . com after i caught waves of my cheating wife’s immoralities, of course people can talk so i decided to hire an hacker to do a basic check on her.The hacker Williamsdhackghost at gmail dot com sent me her whatsapp messages, facebook messages, web browser history, hangout and a whole lot more apps than i can ever possibly be familiar with, there is no end to the immorality of a cheat, hacking her phone assured me that is a fact. You can also text him on +1 352 354-3740. I’ve personally tested PhoneSpector and it does work. There is no free trial currently for this product. So the owner of the android phone has to download it and enter a code for it to work? How is that undetectable? He has passwords for everything on his phone will this break through them as well? Is there any way that he won’t be able to know? I have absolutely no way to access his phone at all. Life has taught me that you can’t control someone’s loyalty. No matter how good you are to them it doesn’t mean that they will treat you the same way. I have been married to my husband for two years with no idea he was cheating. Suddenly i started noticing changes in behavior, i suspected something was wrong. So i confided in a friend who convinced and introduced me to a hacker. He was able to hack into my husband mobile phone, Text messages, Call logs, IG, browser history, deleted messages, Emails and WhatsApp . It seemed as though my life was spinning out of control getting to find out he has someone else. I filed for a divorce just could not continue with lies. If you feel you are been exploited in your marriage and you need proof. I suggest you give Hackbyharley @ gmail . com . The worst feeling is you knowing that your partner is cheating on you but you don’t have any evidence against him, this was the feeling I battled with for like 4 months. I tried using the app it didn’t work perfectly. It was until I saw a referral on here about Hackbyharley that was how i was saved. He gave me access to my husband’s whatsapp, facebook account, instagram and gmail account without his notice and that was how I got all the evidences needed to confronted him, he couldn’t deny it. I had to break up with him, who else would want to stay with a cheater. I’m happy for this great help, if you need similar help to hesitate to reach out. He’s reliable and genuine. You would recall I mentioned [email protected] helped me clone my wife’s phone. What I found out confirmed my suspicions about her. I observed her conversations over some time and having gathered all the evidence I needed, I confronted her. She denied at first but when I started mentioning all the proof I have, she admitted and started begging me. I have moved out of the house and I have also contacted my lawyer to file for divorce. This is a very challenging time for me. I gave her my all but she stabbed me in the back. I feel bad for our children but there is no way I can continue with all the things she did. When I contacted [email protected] to help me clone my wife’s phone, I had doubts. In fact, some of the things they mentioned sounded too good to be true. I am not too tech savvy so I didn’t know how these stuffs work. What was delivered surpassed my expectations. [email protected] gmail. com is the best hacker that I can totally recommend anytime. They are so cool and have this perfect team to make the job easy. You want to get your WhatsApp job done? Ex was totally a jerk and I wanted to know why he would hurt my emotion and kill the passion I had for him. He was on calls everyday and Online on WhatsApp everyday but won’t send me any messages. I wanted to know who he was talking to. Now, I have proved my point. All thanks to them. I appreciate the job done. I’m quite sure he’s into many more. You can’t underestimate what he can do for you. You might really wanna consider contacting him today. He’s definitely going to be of great help. [email protected] or text +1667-308-3018…. I’m quite sure he’s into many more. You can’t underestimate what he can do for you. You might really wanna consider contacting him today. He’s definitely going to be of great help….. The worst feeling is you knowing that your partner is cheating on you but you don’t have any evidence against him, this was the feeling I battled with for like 4 months. I tried using the app it didn’t work perfectly. It was until I saw a referral on here about Hackbyharley (Bryan Harley) that was how i was saved. He gave me access to my husband’s whatsapp, facebook account, instagram and gmail account without his notice and that was how I got all the evidences needed to confronted him, he couldn’t deny it. I had to break up with him, who else would want to stay with a cheater. I’m happy for this great help, if you need similar help to hesitate to reach out. He’s reliable and genuine. Do you need service of a hacker who can help you get your job done? Luke no more. Hackbyharley have reputable service to get your job done without traces, speedy work recovery, guarantee non data lost, expert in handling of Phone penetration, email hacks, WhatsApp, facebook, instagram previous and current messages access remotely and remote server shutdown. They are the guru in terms of service delivery. What are you seeking for?. Do you want get access to another WhatsApp, Phone, Email, Facebook,spy on Phone without the owner knowing. Mail [email protected] and be accomplished with what ever you desire. Have your debt profile erased?. Get email and password hack?. Like and Contact [email protected] gmail.com for exclusive hack services. The worst feeling is you knowing that your partner is cheating on you but you don’t have any evidence against him, this was the feeling I battled with for like 4 months. I tried using the app it didn’t work perfectly. It was until I saw a referral on here about “W i L L i A M S D H A C K G H O S T at G M A I L .. . c om” that was how i was saved. He gave me access to my husband’s whatsapp, facebook account, instagram and gmail account without his notice and that was how I got all the evidences needed to confronted him, he couldn’t deny it. I had to break up with him, who else would want to stay with a cheater. I’m happy for this great help, if you need similar help to hesitate to reach out. He’s reliable and genuine………. your relationship, you can contact my hacker [email protected] gmail . com and tell him i referred you..
I’ll advise you to get proof first before confronting him/her. As that could result in unnecessary confusion in your relationship or marriage. it’s always advisable to use a spy app to help you get concrete evidence by discreetly getting access to their phone or computer. 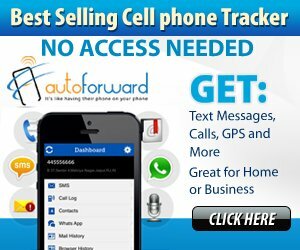 cell-trackers.com has worked for me. Cell tracker, their mobile phone spy app provides accurate results and can be trusted with 100% privacy. These are not just mere ideas and visions. sometimes,our intuition is right but we make the mistake of shoving them aside and not believing they could be true. 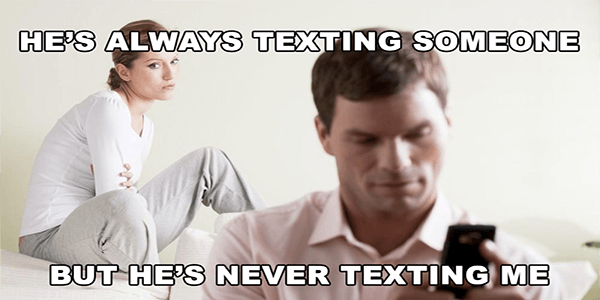 Some spouses are really great at hiding a lot and you can never know the truth if you dont take that first step of finding out and clearing your doubts. If you don’t find out the truth,you’ll keep living in deception and living in a life of fairy tale while your partner keeps outsmarting and taking advantage of you.I never had the thought of hacking my spouse’s cell but when I stumbled online across an article oh how a man gave out his complete love to his wife only for him to be cheated on.I developed goosebumps and decided to give it a try.I contacted him on his email to help me find out about my spouse’s fidelity.I could almost vouch for him until he showed me all her social media conversations,text messages,call records,media files including my conversations with her without touching her phone, it was unbelievable and mind-blowing. You honestly are wouldn’t believe what I saw. Stop living in uncertainty and find out the truth. You have nothing to lose.I hope this helps. Life has taught me that you can’t control someone’s loyalty. No matter how good you are to them it doesn’t mean that they will treat you the same way. I have been married to my husband for two years with no idea he was cheating.. Suddenly i started noticing changes in behavior, i suspected something was wrong. So i confided in a friend who convinced and introduced me to a hacker. He was able to hack into my husband mobile phone, Text messages, Call logs, IG, browser history, deleted messages, Emails and WhatsApp . It seemed as though my life was spinning out of control getting to find out he has someone else. I filed for a divorce just could not continue with lies. If you feel you are been exploited in your marriage and you need proof. I suggest you give Hackbyharley @ gmail . com ..
ker to help you out of your situation, simply reach out to Richiedhackexpert on his gmail to benefit from this opportunity. With the help of these phenomenal team, [email protected], I gained access to my wife’s phone without physical access. Excellent service…….